Is Facebook still an ideal choice when it comes to content marketing? Yes, and no. 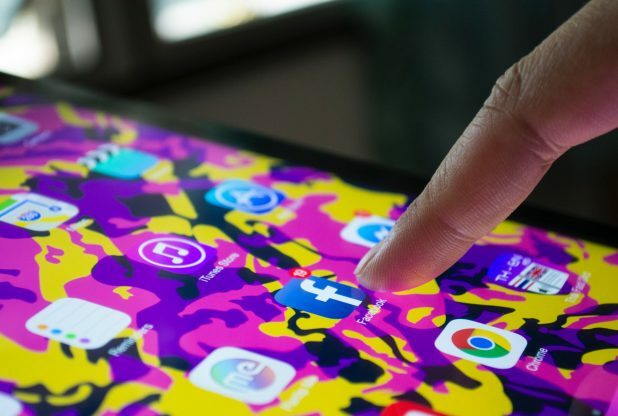 Facebook is still a leader in the term of audience reach and overall popularity, but its’ algorithms and special functions give results only if you have enough money to use them. How to be present on this social media platform without paying tons of money for advertisements. Let’s see. Users of generation Z are replacing older users when it comes to social networks. Facebook is one of those places where you can notice this switch in the audience presence, and it automatically changes the position of the platform. Younger audience means new rules and new social media marketing strategies. What a good marketer can do to attract this kind of new public? Few things are possible. We all know a picture speaks a thousand words. This is especially noticeable in the social media environment. On the networks like Instagram and Snapchat, there is all about pictures, and it becomes to be the similar rule on Facebook too. When you present something, try to do it with pictures, and watch the response. The audience will automatically react with some reactions that are usual in real time matters. More likes, shares, and blog posts are possible only if you have relevant pictures that speak their story. Once you realize that your audience changes, it is the perfect time to really get an advantage from it. Not all kinds of people are good for your product or service. We all know that new kids won’t be interested in vintage clothing in the same manner as they are interested in Nike shoes. That’s why you need to focus on the exact needs of your audience. Targeting the special people is always the right thing to reach more presence and create more engaging content. One thing is certain. People change their expectations according to what they usually get. On Facebook, people want a more personal touch in everyday communication with the brands. That is your ultimate chance to really get to them. If you create content that is personal and reaches to your audience needs, you are at the right path to really get their trust. That’s why most Facebook users give trust to the brands that post customer service response online. They want to see other people’s comments and complaints, and they also want to see how the staff responds to these inquiries. This makes them more secure that the brand they trust really care about their customers. It’s a great opportunity to improve your social media marketing and get more respect from your clients. As a digital marketer, you must be ready for a change. We all have to change at some point when it comes to Facebook, and it is all visible nowadays when people really want to get personal satisfaction from the brands. Case studies show that more than 68 percent of Americans use Facebook, and they are all there with the same intention – to get interaction. This no longer suggests the kind of interaction from their friends, but also from their favorite brands. You must use this opportunity to make your influencer marketing more powerful. Build trust with your audience in different ways, and do not hesitate to be proactive. Answer their questions, solve the issues with the products and services, and more than anything else, post it all online so other people can see that you really care about each and every person there. This way, you create a more powerful influence that will lead you to the top position of the best content marketers. If you are new on the market, you can use the same strategies as big businesses. This means more engagement, more social proof tactics and more awareness of real audience’s needs. Pay attention to what your clients want, what they crave for and why they are part of your Facebook page. When you find out they habits and their expectations, it will be easier for you to create the ultimate content that will make them stick to your pages. If you want to attract and keep your audience around your brand pages, you must be part of the new tendencies. As we mentioned, listen to their comments, respond to them and post them online. It is not everything about good and shiny comments. We all know there will be some that are hard to get and hard to respond, but you must do everything possible to create a realistic atmosphere around your small businesses. People will believe you if you are real and honest. At the same time, they will build trust with your brand, and that leads to more meaningful interaction and more prosperity of your own business. If you are not sure how to create good content, turn to Rapid Essay (rapidessay.com) and get help from professional writers who can help you create stunning content as well as write essays for money. You will definitely save a lot of time and money if you decide to use this extraordinary writing service.